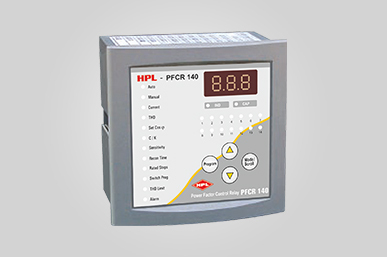 PFCR from HPL India has display of power factor, current & total harmonic distortion of current. Microprocessor based intelligent auto switching control. Automatic C/K and rated step adjustment. Display of power factor, current & total harmonic distortion of current.